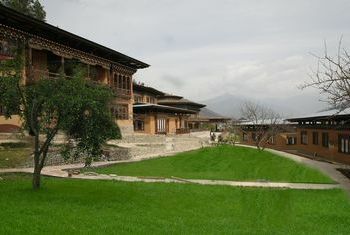 One of the top choices in Paro this 4-star hotel is only a short 5 minutes drive from the airport, overlooking the Pa Chu river and giving a great view of Paro Dzong from its spacious ground. 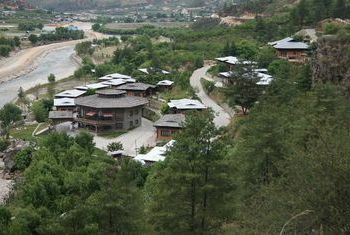 This peaceful resort is a mixture of traditional Bhutanese and modern architecture with some unique incorporation of environmental friendly detail like solar lights, wooden shingle roofing, and mud walls. 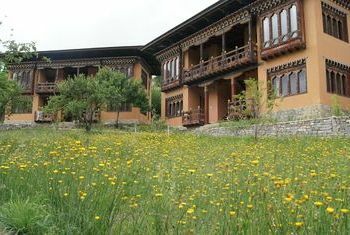 Tashi Namgay Resort features 39 rooms, each with elegant and contemporary decoration and furnishing. Whether you choose Executive Suites, Suites, Deluxe or Standard room, a riverside one is always recommended. 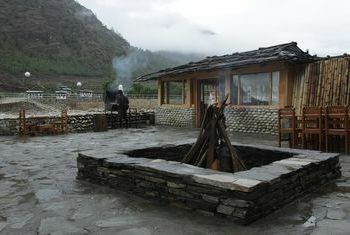 The resort offers a wide range of cuisine selection, both Bhutanese and international, giving guests the most relaxing and special dining experience. 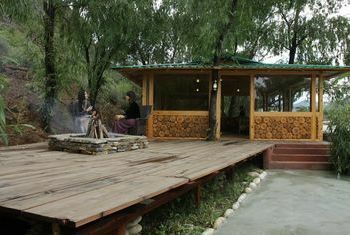 There's also a spa with a complete sauna, steam bath, meditation room. Hotel Amenities: Free Internet, Free parking, Restaurant, Room service, Bar/Lounge, Spa, Fitness Center with Gym / Workout Room, Airport transportation, Banquet Room, Breakfast Available, Business Center with Internet Access, Concierge, Conference Facilities, Dry Cleaning, Hot Tub, Laundry Service, Meeting rooms, Multilingual Staff.